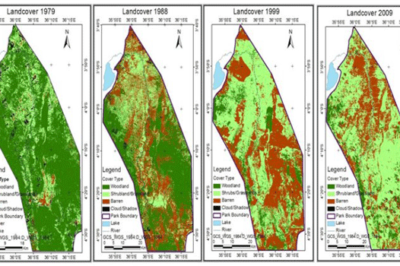 The easiest way to show spatial change over time: side by side maps each showing a slice of time. Spatialtemporal visualization are ways to illustrate changes in an area over time on a map. The famous geographer Immanuel Kant maintained that geography was the study of knowledge in a location, while history was the study of knowledge in time. This article explores different cartographic methods of showing changes in time over space on a map. 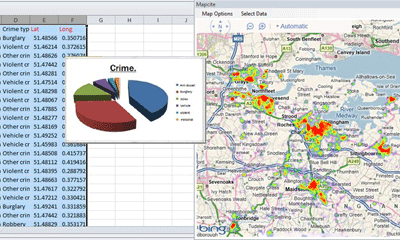 There is a huge amount of untapped geographic information stored within Microsoft Excel spreadsheets. With over one billion users of the popular spreadsheet software, that is a lot of data waiting to be mapped out. That said, the capability of mapping out that geographic data doesn’t necessarily need to be done through an external desktop GIS software application. There are a few solutions on the market that provide both free and cost-based mapping solutions that operate directly within Excel. 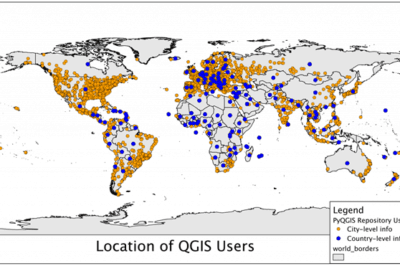 What are the basic uses of GIS? This article reviews some of the most common and basic users of GIS including mapping data, proximity analysis, buffers, cluster mapping, and querying a geographic area for features. Figure 4. 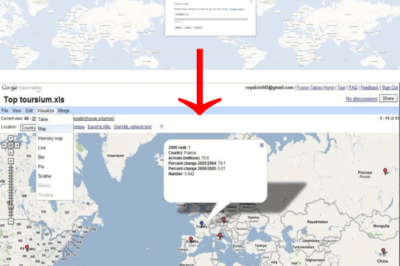 Google Map interface to the Top tourism data.